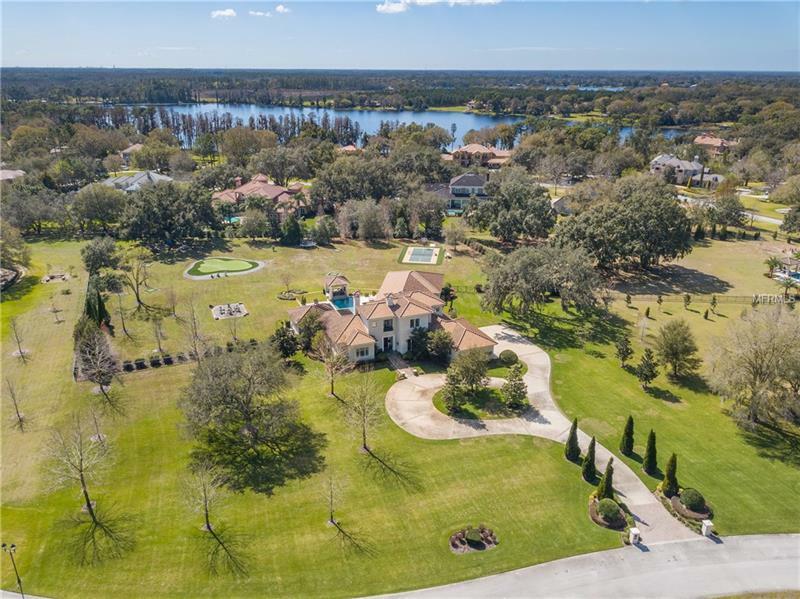 7773 Still Lakes Drive, Odessa, FL.| MLS# U8034733 | Westchase Real Estate - Westchase FL Homes For Sale - Westchase Local Experts. SPECTACULAR!! STUNNING!! A few words to describe this Mediterranean style gem built by renowned builder Jay Fechtel. Sitting on 3.5 acres in the highly desirable & gated (Guard on duty 24/7) Stillwater Community. The kitchen features: a Sub-Zero refrigerator Thermador double ovencustom cabinets a marble-topped island & a wine room! The Great room shows off a 190 gallon custom coral reef fish aquarium. The bonus room is equipped with a full wet bar plenty of room to entertain & a sunken media room to enjoy the big game or movie night with the family. The master suite located downstairs features a huge closet for him and her. The master bath has a charming full size tub that looks out to the private patio. You will also find a large guest suite downstairs with a full bath. The 2nd floor has new carpet & all bedrooms have their own private bath. There is a private study located on the second floor. The outside area has a full sized pool w/ waterfall & hot tub that lead to a gazebo w/ a gas fire table. Other highlights of the outside area are: A full kitchen bar refrigerator piped 42â gas grill ice maker sink gas fireplace & 2 more fire pits. It is also great for the athletes in the family: 2000 sq ft putting green pickle ball court & bball hoop. The property is 100% well irrigated the entire house is wired for music & video. No worries about cleaning the home has an in-wall hose central vacuum system. There is a large 3 car garage and a 20KW generator. DO NOT FORGET TO TAKE THE VIDEO TOUR! Amenities Additional Fees: ***Additional Fee of $535.00 is due to Stillwater Montreux. Copyright © 2019 Mid Florida MLS. All rights reserved. The data relating to real estate for sale on this web site comes in part from the Internet Data Exchange Program of Mid Florida MLS. Information provided is for consumer's personal, non-commercial use and may not be used for any purpose other than to identify prospective properties consumers may be interested in purchasing. Premier Choice Properties, Inc. participates in the MFRMLS Internet Data Exchange (IDX) program, allowing display of other MFRMLS broker's listings on this site. However may not include all listings currently available. Information is deemed reliable but not guaranteed. Information last updated at 2019-04-18 03:20:24.